Green Fire Press, 9780986198045, 284pp. This lyrical, hard-hitting memoir sets one American woman's journey against the larger landscape of political upheaval, global climate change, and the recovery of our primary connection to the Earth. 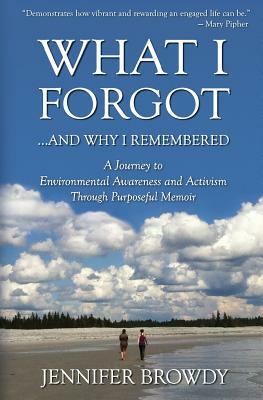 In telling the story of a generation who "forgot" how important the health of our planet is to our personal health and well-being, Jennifer Browdy details her own years of being entranced, both personally and professionally, in patterns of denial and avoidance. Honestly interrogating the challenge of getting privileged Americans to wake up and confront the urgent and uncomfortable realities of our time, she calls on readers to begin the process of transformation at the intersection of the personal, political and planetary.